This study and making day is for those interested in flint evaluation and methods of manufacture – particularly field archaeologists, students with a developing interest in flint tools, and for archaeologists - professional and amateur - who wish to hone their flint identification knowledge. This course deals with the evaluation of debitage, as material of equal importance to tools. In the morning you will join flint tool authority Bob Turner in an evaluation of the British flint tool assemblage, from the Final Upper Paleolithic to the Bronze Age. 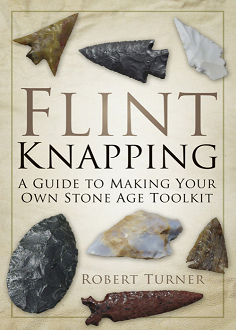 The afternoon is devoted to knapping techniques, with a particular focus on methods as they relate to specific tool types.